Murray Man talks about what it was like growing up in Jamaican household in the UK, describing his first introduced to music and sound system. He talks about how he learned the art of music production and decided to open Mellow Vibes studio. 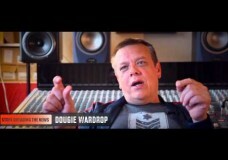 I interview Dougie Wardrop at Conscious Sounds studio in Hackney, London. Dougie reveals how he got started in the business including details of early releases and equipment purchases. He also talks of the importance for him of working at something he cared about. 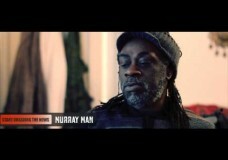 He mentions sources of inspiration and comments on the evolution of the dub scene in Europe. 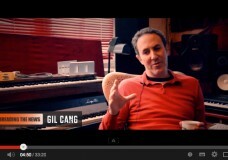 This month i interview songwriter, producer, musician and co-founder of the Tuff Scout label, Gil Cang. With a long history in reggae and credits in the pop world as far reaching as Michael Jackson, Gil is a wonderfully talented individual with an inspiring attitude towards the business and a drive to push out the boundaries of the genre. I interviewed Dark Angel AKA Mowty Mahlyka at his home studio in West London. He described how music has always been part of his life. He gave an account of his first trip to Africa after which he decided to move his life and music in a more positive and uplifting direction, transitioning from Dancehall to Roots Reggae. Reggae music is a vehicle to teach, uplift and inspire. It spreads a conscious message while shedding light on social injustice. Despite the wealth of quality music on offer, it is often neglected by mainstream media. It is largely up to those passionate about reggae to help promote it and provide a platform for the music to thrive. This site is intended to offer much needed exposure to up and coming artists and producers as well as a forum to learn from more experienced people in the business. I interviewed Nick at The Yard studio in West London. 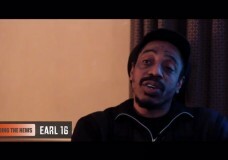 He discussed the early days and how his production has evolved. He mentioned how satisfying his current work with the Roots Garden label is and how he is enjoying making music with artists such as Bob Skeng, Cate Ferris and Praise. Check the interview to find out more. Copyright © 2019 Start Dreading The News. All Rights Reserved.